Prime Minister Justin Trudeau announced today that Canadians will be able to consume marijuana recreationally without criminal penalties starting on Oct. 17, 2018 — many months later than the government's initial target date. "One of the things that we heard very clearly from the provinces is that they need a certain amount of time to get their bricks and mortar stores — their online sales — ready. Producers need time to be able to actually prepare for a regimented and successful implementation of the regime ... This is something that we want to get right," Trudeau told reporters at a press conference held today before the House of Commons rises for its summer recess. "By giving the provinces more time to ensure that they are fully ready for the day of coming into force of this legislation, it will be a smooth success in all the ways that we can hope for." While the federal government was responsible for the bill that will ultimately legalize recreational marijuana possession, home growing and sales to adults — by dismantling key aspects of the Criminal Code that ensured prohibition for 95 years — the practical details of implementing legalization have been left largely to the provinces and territories. As is common in the Canadian system of federalism, each province has taken a different approach — and some are more prepared than others. New Brunswick, for example, has already built its first retail storefront, while Nunavut only passed its legal framework on Tuesday. The government has long said there would be a buffer of eight to 12 weeks between the bill's passage and full legalization to allow provinces to get their systems up and running to sell recreational marijuana from storefronts. The Oct. 17 date is 17 weeks away. Trudeau said three "big" provinces, including Quebec, asked for more time to put their sales regimes in place, making a longer runway for legalization necessary. The Senate last night passed a contentious bill to legalize pot — but Justice Minister Jody Wilson-Raybould warned Canadians today that they won't be allowed to legally light up until the aforementioned date. Senators passed C-45, the federal government's bill to legalize recreational marijuana, by a 52-29 vote with two abstentions. "Cannabis for non-medical use is not legal yet. The law still remains the law," Wilson-Raybould said during a news conference held on Parliament Hill before Trudeau announced the effective date when legal recreational cannabis will be available. Calling it a "wholesale shift" in how the country deals with marijuana, the minister said the legalization approach replaces a failed model that made organized criminals rich and put vulnerable children at risk. prepare varying types of cannabis products (e.g., edibles) at home for personal use provided that no dangerous organic solvents are used in the process. Wilson-Raybould called the legislative journey that ended with the bill's passage last night "historic." 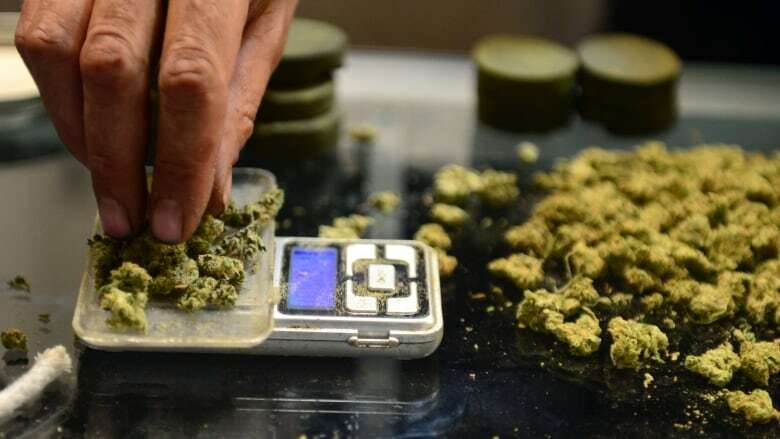 Canada has become only the second nation in the world — after the small South American country of Uruguay — to fully legalize the drug for recreational purposes nationwide. The government initially floated July 1 as the date for retail sales to begin but the timeline was pushed back as senators debated the bill at length. Until the bill receives royal assent — the last procedural step of the legislative process — it will be illegal to transport cannabis. So the federal government believes it will take weeks to formally establish a distribution system that will allow producers to transport their product to provincially-run stores or, depending on the province, to private retailers. Employees will have to be hired, screened and trained on the sale of the drug, too, meaning retail operations cannot materialize overnight. In anticipation of legalization, Wilson-Raybould said the government strengthened the laws on alcohol- and drug-impaired driving through Bill C-46 — which passed the Senate Wednesday after much debate. The law will allow for mandatory roadside impaired driving checks on the country's roads — something the government believes will deter driving while high. (The government is still working on approving devices to conduct such roadside drug tests.) Still, the justice minister reminded Canadians that driving under the influence is already a criminal offence. When asked Wednesday if the government was considering pardons for Canadians convicted of marijuana-related offences, Wilson-Raybould said such a question was "premature." "I think, as has already been stated, the law remains in effect until it's repealed and replaced through Bill [C-45] and quite frankly any discussion of those records can't take place until that process is complete," she said. "We're working hard to do the important work of repealing the existing legislation, replacing it with a comprehensive system of regulatory control ... It will then be possible for the government to turn its mind to the issue of the existing records or any disparity that exists." The NDP has signalled it will be pushing the government for some sort of "pot amnesty" with pardons for those convicted of cannabis possession offences. The Senate had proposed 46 amendments to the Cannabis Act. The Liberal government rejected 13 of those proposed changes last week (arguably the most consequential amendments, since those the government accepted were generally technical in nature), including one provision that would have affirmed the provinces' and territories' right to ban home cultivation of marijuana. Quebec, Manitoba and Nunavut want to ban home cultivation. Today, Wilson-Raybould said the bill provides a "framework" and that it's not the federal government's intention to challenge provincial laws. She noted that a resident could challenge any province that moves to ban home-growing, though. In March, while appearing before a Senate committee, Wilson-Raybould said the federal government wouldn't stop provinces from banning homegrown pot — but if a citizen decided to take the province or territory to court over the issue, the feds wouldn't be silent. Quebec Premier Philippe Couillard told reporters Wednesday that his government may launch a court challenge to assert its control over home cultivation. "What the federal government has done covers the Criminal Code — there is no dispute around that. But we are convinced that we have full jurisdiction to regulate other matters, such as distribution and home growing of cannabis," he said. He said it was a shame the government did not heed the advice of the Senate on home cultivation. "This is what [senators] are there for, to improve bills before they are adopted. I regret that this was not taken up by the federal government."